I would love to have a reading nook! They just look so cozy and quiet, perfect to read a good book or magazine. But unfortunately I don’t have the proper spot for it in our home. And even if we had, with a energetic two year old I don’t think I would ever have a quiet moment to curl up with a cup of tea and a book. But I keep on dreaming! 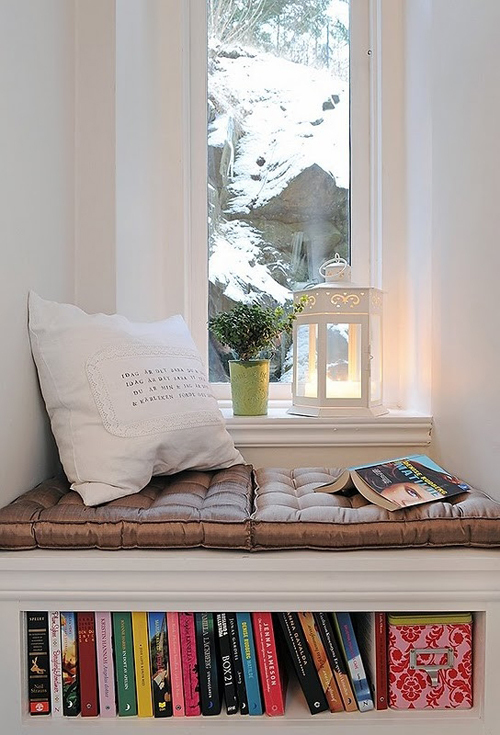 Reading nook! What a funny word in english. Very cool post, thanks! 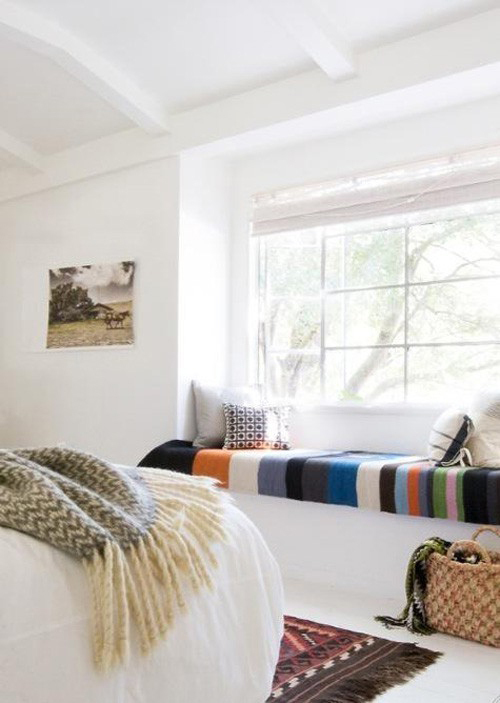 Love those nooks. 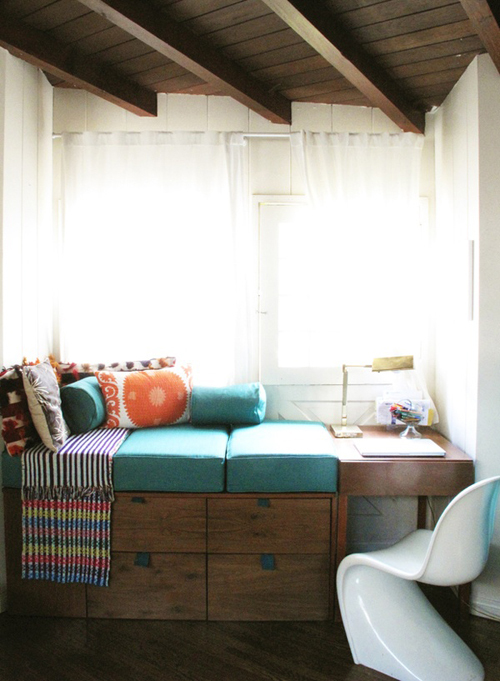 I could curl up on any of these three cosy little nooks I just love the extra storage space….